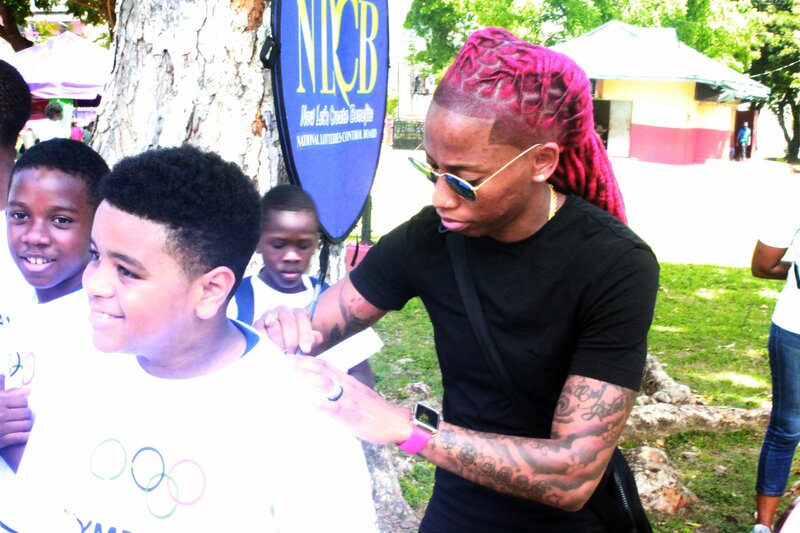 YOUNG TT athletes did not only learn about various sports, but got to meet some of this nation's senior athletes at Woodford Square, yesterday. Woodford Square came alive with the spirit of Olympism as the TT Olympic Committee (TTOC) hosted its annual Olympic Day celebrations. As part of the fun-filled day, children were exposed to 15 sporting disciplines including gymnastics, judo, rugby, tennis, chess, football and boxing. Some of the national athletes who attended Olympic Day were 2018 Commonwealth Games gold medallist Michelle-Lee Ahye, boxers Nigel Paul and Aaron Prince, triple jumper Ayanna Alexander and sailor Kelly-Ann Arrindell. The TTOC event also educated participants about the role of sport in society, and the values of the Olympic movement, with activities geared towards encouraging the nation’s youth to strive for excellence, to celebrate friendship and to demonstrate respect. Those interested in watching the 2018 World Cup were not disappointed, as the day included the live viewing of the match between Brazil and Costa Rica. Minister of Sport and Youth Affairs Shamfa Cudjoe was satisfied that children were an integral part of Olympic Day. "As we know Olympic Day is not just about celebrating athletes who would have medalled, but it is about sporting activity, about physical activity and I like the way we would have brought out the young children to have them meet the athletes," Cudjoe said. Olympic Day is normally held at Lord Harris Square, but president of the TTOC Brian Lewis was glad the decision to move to Woodford Square was a resounding success. "(It is about) learning new sports and the opportunity for a lot of the young people to interact. It has been an outstanding success and we have children from Tobago. It has been an absolutely fantastic morning and we are delighted that the decision to come to Woodford Square has been so well received by the public," Lewis said. Lewis thanked the national senior athletes for attending Olympic Day and spending time with the young people and other citizens of TT. "It is very important, it is about reaching out to the public and creating that engagement with the people of TT," Lewis said. The TTOC joined over 200 National Olympic Committees (NOCs) worldwide in marking Olympic Day, which is traditionally celebrated around June 23 – the date noted for the revival of the Olympic Games in 1894. Reply to "TT youth meet Olympians at Woodford Square"